It’s Freebie Friday again so here’s a fun little game board I made to celebrate SPRING!!! Finally after the winter some of you have had out there, I hope you too are basking in the lovely spring! You can use this game for all speech and language goals. Enjoy! 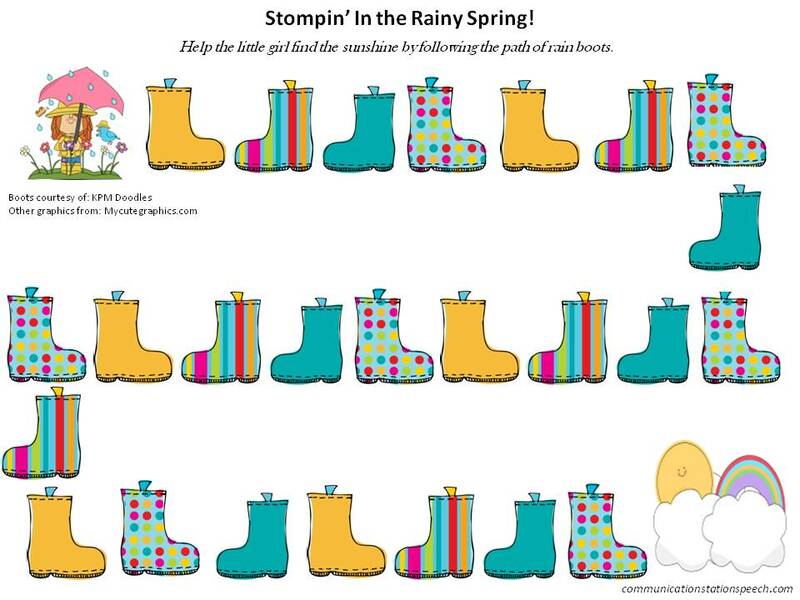 If you like the cute boot graphics on this game board you might want to check out a freebie I shared last year called Rainy Day Boot Match Up which targets matching up the correct rain boot synonyms! You can grab this freebie at the link above. Freebie Friday: St. Patrick’s Day Memory! ← Giveaway: Practical Ways to Meet Sensory Needs of Student in Speech Therapy Room!